There is a new milk in town brought to you by Lon Lon Ranch! Made from the finest cows in Hyrule. 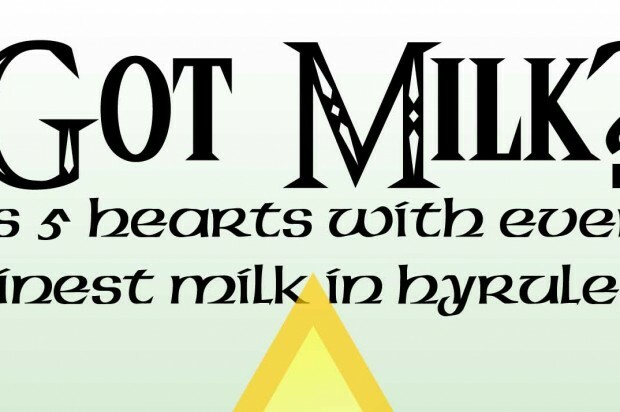 This new Milk will help you traverse on those long journeys ahead. So watch out Ganon cause this milk will be your end! 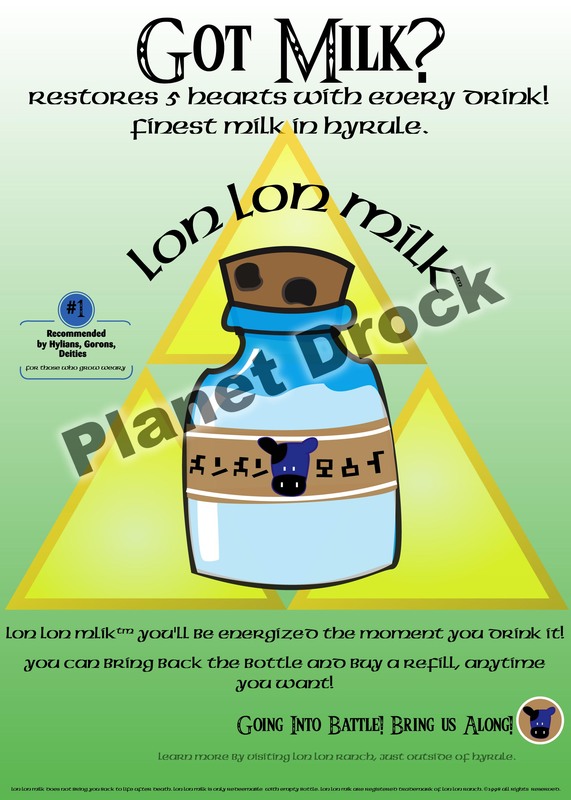 The Lon Lon Milk AD was Illustrated by TheColourBlue and brought to you by Planet Drock. Lon Lon Milk AD was my first attempt at Illustrator. It was created for a class assignment that had me re-create an ad found in a magazine. However that was mundane and unappealing so i created this instead. I think it turned out pretty well for my first attempt. Oh Yea! An ad for one of my favorite video games. As of right now it’s not for sale but who knows. I also have some ideas for future illustrations but will leave it here for now. For those of you who deny that Lon Lon milk doesn’t exist I bid you adieu. Ti’ll next time, See ya on the 3rd rock from the sun.